Do you like putting your hands in soil? Can you work in all-weather conditions? If you said YES to ONE of these questions – this job sector may interest you. 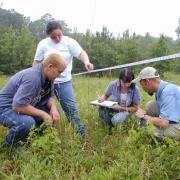 Careers and jobs under Gardening, Horticulture and Botany require you to work mostly outdoors. This work can be physically demanding. You will be expected to work in all types of weather. You may also need to learn how to operate different kinds of tools and machinery. Careers in this sector can be very rewarding. Planting something and watching it grow or discovering new things about plants can be very exciting. If you want more information about careers in Gardening, Horticulture and Botany, click on the different sectors on the left (or below) to find different and interesting job descriptions. Are you choosing a job or career? 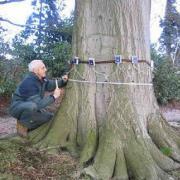 Arboriculturists work in the horticultural field and in particular the study of trees. An arboriculturist cultivates and manages trees, hedgerows and shrubs and also provides information and advice on specific tree-related issues. 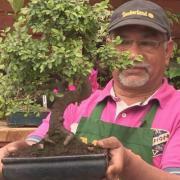 Grows dwarf (Bonsai) trees: Selects seedlings or other small trees suitable for Bonsai. DID YOU KNOW? South African has a serious shortage of skilled professionals and trained technicians in the plant industry! Botany is an ancient science. 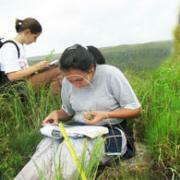 Botanists study plant biology, including fungi and algae. 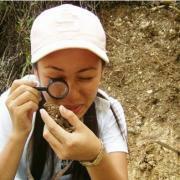 They also study the relationship of plants with their environment and other living organisms. 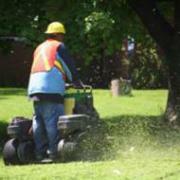 A Garden Worker helps private people or garden maintenance companies with the maintenance of gardens. If you like working outdoors and are responsible and reliable, this this could be the job you’re looking for. Gardeners / Grounds Keepers take care of gardens in places like: cemeteries / parks / sports fields / arboretums / botanical gardens / schools / zoos / museums / complexes / company gardens/ shopping centres etc. 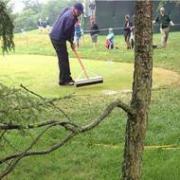 A Greenskeeper is a specialised ‘gardener’ who works on golf courses. If you would like an ‘outdoor’ job and have an interest in golf, this might be the career you’re looking for. 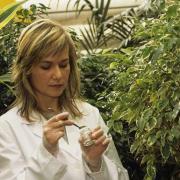 Herbarium workers work in botanical gardens and museum herbariums. A Horticulturist uses their scientific knowledge and experience to grow and propagate (breed) plants mainly for human and non-human uses. This can be done on a small scale as well as on a large scale like crop farming. When it comes to producing food in small spaces nothing can beat hydroponics. 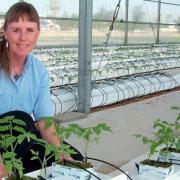 The definition of Hydroponics is “water-working”. Practically it means growing plants in a water and nutrient solution, without soil. 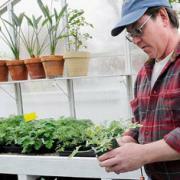 If this interests you why not take your BSc degree into the Hydroponics field. Landscape architects create the landscape around us. 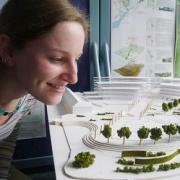 They plan, design and manage open spaces including both natural and man-made environments. They work to provide innovative and aesthetically pleasing spaces for people to enjoy, and to also make sure that the changes to the natural environment are appropriate, sensitive and sustainable. 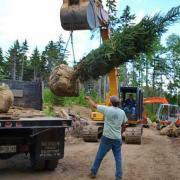 Landscape Constructors design, develop, maintain and remodel gardens and landscapes. 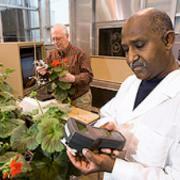 They work on residential and commercial properties, as well as environments like botanical gardens. As a Soil Scientist you will apply your knowledge of soil properties to determine the possible yield of a particular type of soil and what effect alternative practices will have on soil productivity. Turf grass is generally used as a surface for sports facilities such as athletics stadiums, golf courses, cricket fields, horse racing courses, polo fields, rugby fields, soccer fields, hockey fields, bowling greens and recreational areas. 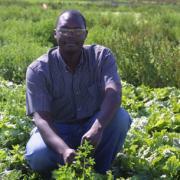 Weed scientists study weeds, their effect on the environment and the various methods of weed control â€“ for instance, a particular species of weed growing in a position where it can obstruct the natural flow of a river or destroy the catchment area of a dam.